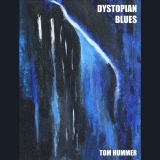 "Nicotine, Valium, Vicodin, Marijuana, Ecstasy and Alcohol"
Sorry, no matches on eBay for "Dystopian Blues Tom Hummer". The tracks on this album have an average rating of 75 out of 100 (all tracks have been rated). Related links: top tracks by Tom Hummertop tracks of the 2010s, top tracks of 2016.